Yellow Color : To produce the yellow colour, mix turmeric (haldi) powder with chick pea flour (besan) or boil Marigold flowers in water to get a rich yellow colour. You can also soak pomegranate peels in water overnight to produce yellow coloured liquid. Black Color : Take some black grapes and amla and cut them in fine pieces. Put the pieces in boiling water and let the water cool down to get a nice black colour for Holi. The color deep pink : To get a deep pink hue, soak beetroot pieces in water. Orange Colour : For Orange or red colour, dry the henna leaves and powder them. 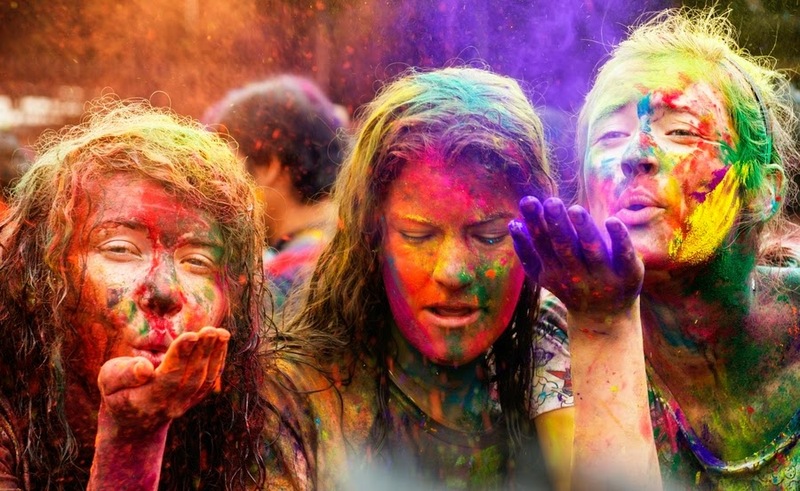 From last few years, the trend of playing eco-friendly Holi has increased tremendously. Now, the people have become more aware of the harmful effects of water balloons and chemical. So people do not want to harm themselves with the chemicals which has been mixed in the colours. This Holi I wish you play it safe and keep our environment clean. Play eco-friendly Holi 2019. Nature has always loved us and now its time for us to love it back, play safe Holi and love nature. Its better to be safe and sound than a disaster at Holi 2019. Play eco-friendly safe Holi 2019.
if you love your friends and family then you would not harm them with chemicals and will play eco-friendly safe Holi 2019. Its always to be safe than getting onto trouble in Holi. Holi is to enjoy and not to harm your friends and family members so play naturral Holi 2019. We are blessed with nature’s gift so thank nature by playing safe and eco-friendly Holi 2019. Now a days people can create their own colour without any side effects. Making colours at home is a easy task with few easy steps and tips. If you have no idea about how to produce colours at home then you can go for internet surfing, there are so many ideas available online which will help you to make your own colours. Gul ne gulshan se gulfam bheja hai…. Mubaraq ho aapko holi ka tyohar…. Humne dil se yeh paigam bheja hai…..Happy Eco Holi 2019.
ek meri dosti ka rang bhi chadhana…. Lagne lagenge tumhe suhane sare rang…. Aur meri dosti ka rang chamkega hurdum tumhare sang…..
Bolo sarararara……Happy Eco Friendly Colorful Holi 2019. Khaa key gujiya, pee key bhaang…. baja ke dholak aur mridang…. khele holi hum tere sang…. 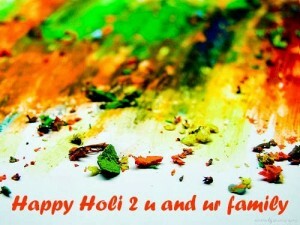 Holi is the day to express love with colors…. It is a time to show affection…. We hope this article on Celebrated Holi in Eco Friendly Way Ideas Slogan Messages Quotesis being like and loved by you all. Please do not forget to share this article on social networking sites such as facebook, whatsapp, hike, bbm, wechat, instagram, line, viber, pinterest, stumble upon, twitter etc. Do provide us with your comments below the article in the comment box. Stay connected with us to get more updates on Holi festival 2018.